Many people who want to create seasonal web pages, but don't have a lot of resources to invest, often find themselves asking, "Where can I find free holiday backgrounds?" The simple answer is that free holiday backgrounds are abundant throughout the internet. Question: Where Can I Find Free Holiday Backgrounds? There are two main approaches to placing a holiday background on your web page. The first, and more time consuming, is to create your own background using colors, image editing software, and a bit of creativity. The second approach is to download pre-made backgrounds from any of the hundreds of websites that offer them for free. Sometimes it's nice to have a web page background that's unique and a design that no one else in the world has. One of the easiest ways to customize your web page background for free is simply to set the HTML code for the background color to the value that suits your needs and looks good with your text and images. However, you might desire a more stylish or creative background design, such as a gradient faded bar on the side, or soft tiled images throughout the entire page. To design such a background, all you need to do is create a small background image (either JPEG or GIF), using a program such as CorelDRAW, Paint, or Photoshop, that can be tiled to create the sort of atmosphere that you're looking for. When you desire a holiday background, the key is to use festive colors or images. The following are two methods you can use to create your own free holiday backgrounds, either a full page design or a gradient design on the right or left. 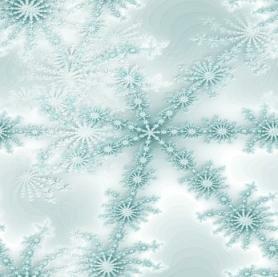 A tiled image is one of the most common techniques to filling the background of your webpage with festive colors or a holiday image. First create a square image that's about 100 pixels wide. Either fill the box with a pattern or texture of red, green, or gold holiday colors, or find a Christmas image that you can fade and then fit into this box. Finally, insert the HTML code to use the image, such as body background="holidaypic.jpg". A gradient fill is another very common approach to creating a background image with a faded color bar on the right or the left side of the web page. Additionally, you can introduce repeated images along this border as well. The only limit is your imagination. In order to make sure the tiled image fills the whole width of the screen, make sure to set the width of the JPEG or GIF image to 800 pixels. Insert the image as the background of your web page in the same manner as above. The other, much easier approach to having a holiday background is finding and downloading them from the wide variety of sites that offer free ones. The following websites are a few of the best. Cool Holiday Graphics features an excellent archive of some of the best holiday backgrounds anywhere. These include snowflakes, Santa, angels, Christmas trees, candles, and much more. The great thing about these backgrounds is that they are well designed as faded graphics. Additionally, the code you need to paste into your page is easily accessible directly under the picture. Simply find the one you want, then copy and paste the code to your page. Editing MySpace also has Christmas backgrounds specifically designed in the typical bold MySpace style. A few examples include Christmas trees and Christmas decorations. Free backgrounds for the holidays are very easy to find through a simple internet search. Thousands of pages exist which offer not only backgrounds, but icons, graphics, banners, and other website elements created specifically for the Christmas season. There's no need to pay for these when you can find so many of them for free. 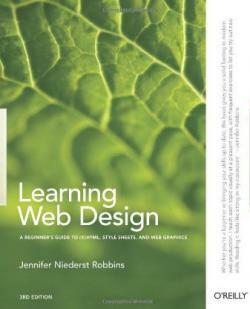 For more information on web page backgrounds, don't forget to check out the following resources.